Buckle up and settle in because this is one of my fave posts to date, for a number of reasons. First of all, Portugal is hands down one of my favourite countries in the world. I spent a ton of time there when I was on my first big solo trip in Europe, and the memories from this special place will be with me forever (and now I’m fortunate enough to add on memories from this unbelievable trip earlier this year in October). 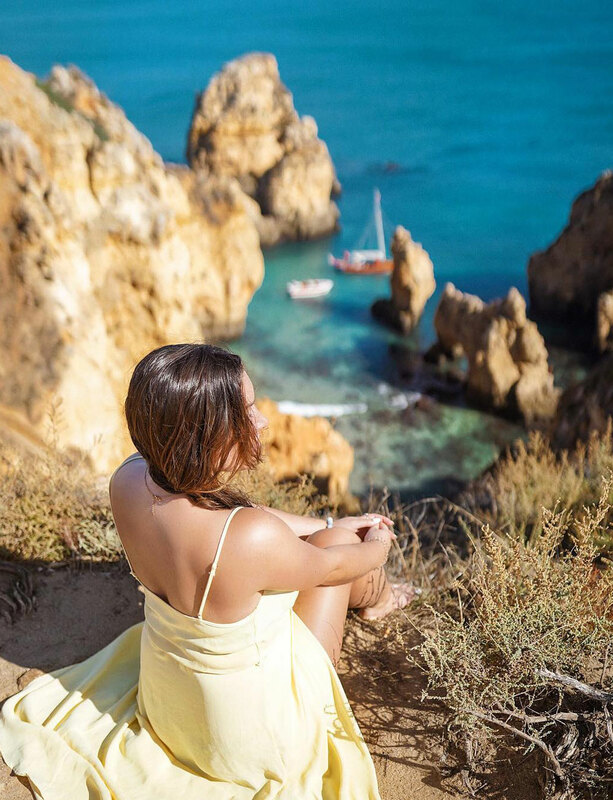 Secondly, as you guys undoubtedly know by now, I am a big Air Transat loyalist, and I was lucky enough to get to experience Portugal with Air Transat and with their local tourism partners as I’m sure you guys saw on Instagram under the hashtag #experiencetransat! 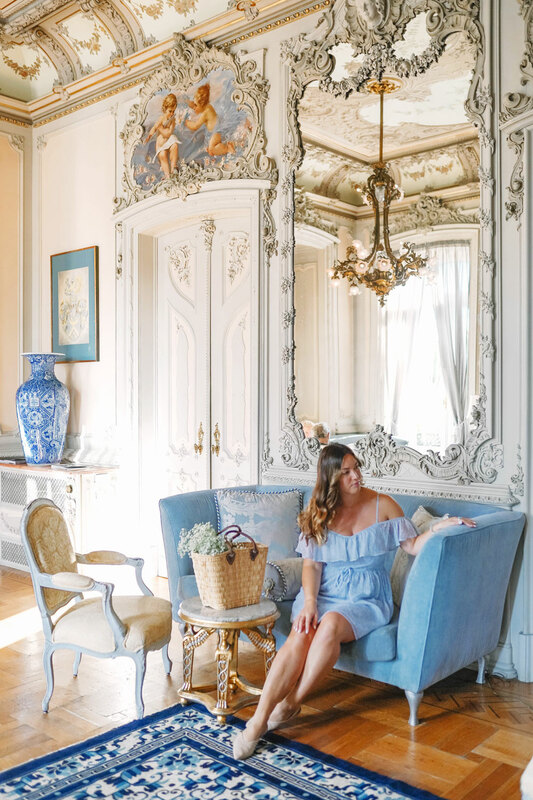 Whether it’s my adventures in Andalusia, taking off on a multi-destination escape to Greece and France or heading south to the Dominican Republic, I love and believe in their brand so much. They are such a customer-first company, whether it’s creating tiers that you can upgrade to that are accessible and offer luxury in all different cabin groups or allowing people to fly multi-destination (into one city, out another) at no additional cost. What I really love about them is that they’re not only constantly expanding their flight offerings, but they also work hard to find the best authentic travel experiences for you to take part in, whether that’s the best hotels across a wide range of categories or packages that you can enjoy without the hassle of having to do a ton of planning. But onto this trip, because I need to dive in and share everything we did! I touched base in Toronto, met up with my girls Filipa and Lauren and soon we were settled into the luxury of Club Class. A quick toast with a glass of sparkling and we all had the loveliest nap before touching base in Lisbon as the sun rose, flooding the cabin with a golden glow as we woke up. 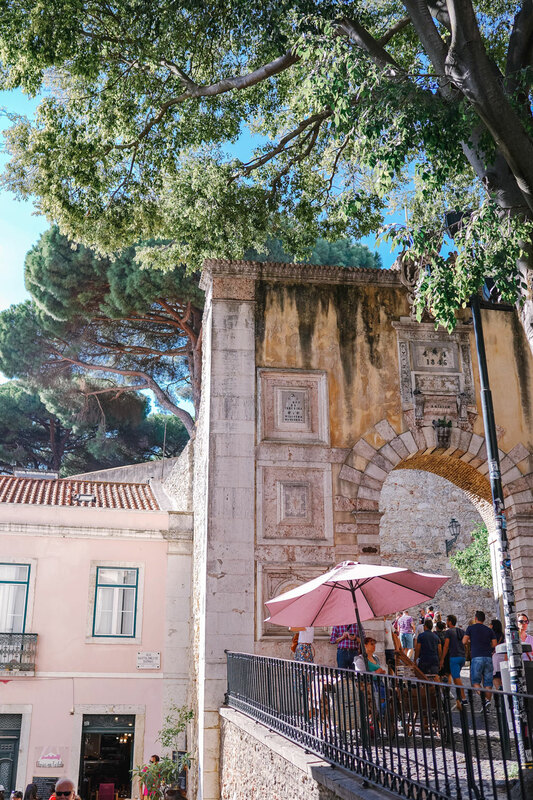 Lisbon used to be a trickier destination to get to from Canada, requiring a flight into Europe before connecting into Portugal’s capital city, but Air Transat has so many great options now to easily get into this gorgeous city. 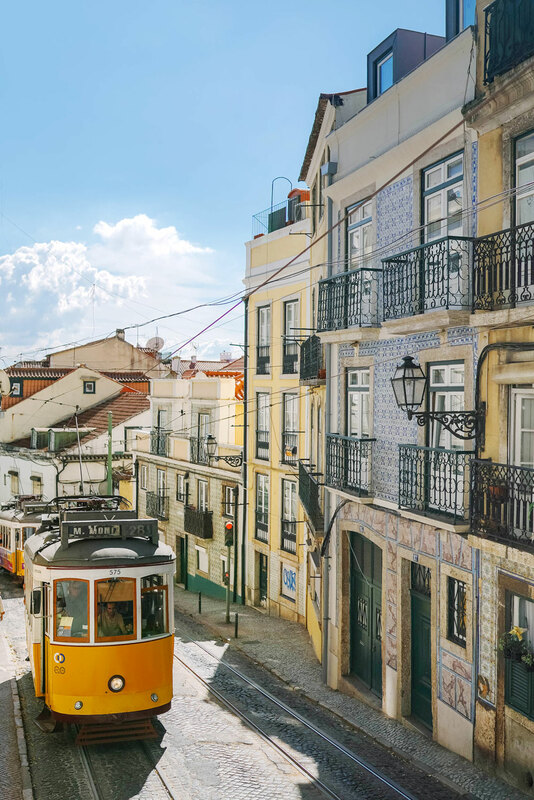 From Toronto, you can fly to Lisbon on two direct flights per week and one direct flight per week to Faro and Porto (beginning November 4 for Lisbon and Porto, and January 22nd for Faro ). 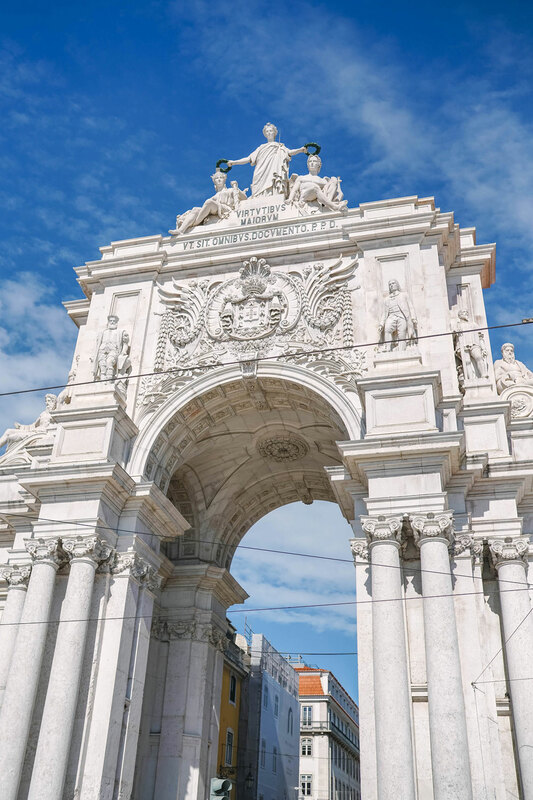 If you want to fly in directly to Lisbon from Vancouver (where I know a lot of you are based), there’s one flight per week via Toronto so that you just need one connection before touching base in Portugal! For Faro and Porto, that will start January 22nd, and for Lisbon, you can start taking off from the West Coast as soon as December 20. 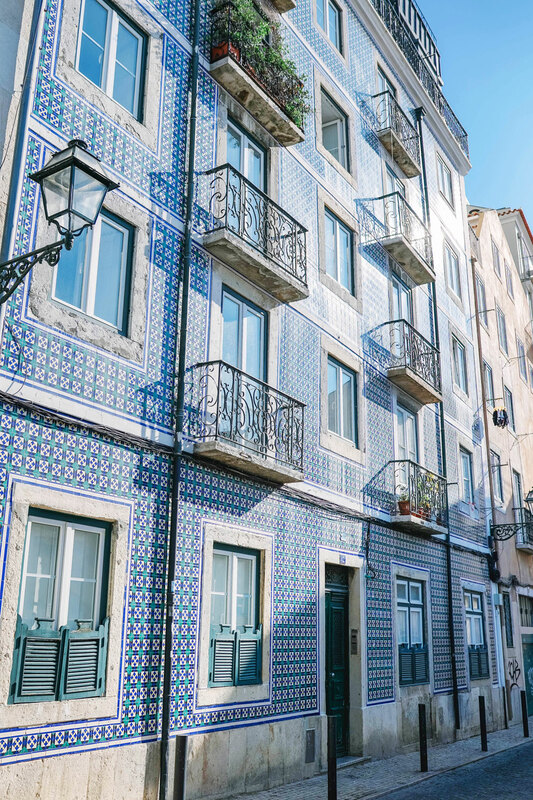 Finally, my Quebecois, you’ll get your own direct flight from Montreal to Lisbon (one per week beginning November 5th), with flights via Toronto for Porto (as of November 4) and Faro (as of January 22). Back to touch-down in Portugal, though. We were quickly greeted by the lovely Marie-Annick from Air Transat and brought into our first hotel in Estoril, a gorgeous seaside town (as most towns are in Portugal) to wait for our Montreal group. 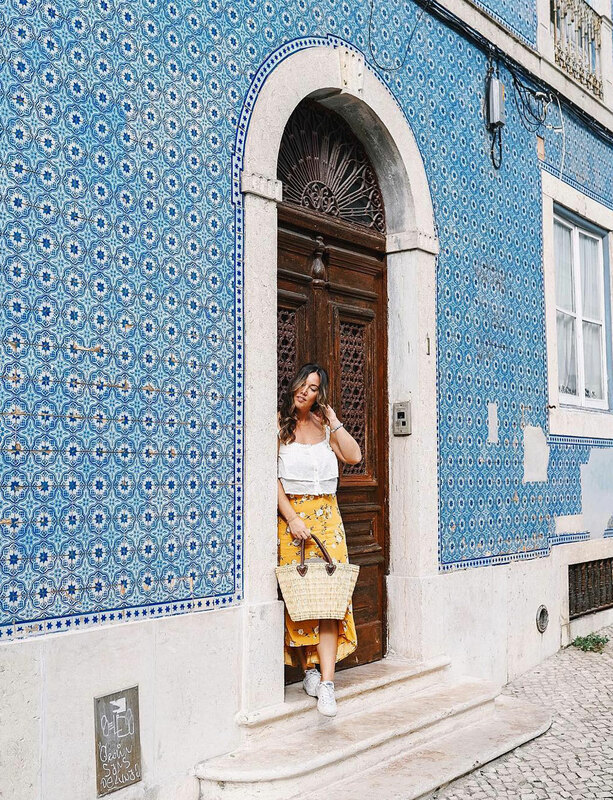 From there on out, we had the most amazingly packed week of exploring the country—Portugal is incredibly culturally diverse, so don’t let its relatively small size on the map fool you. It is the oldest country in Europe, with the same defined national boundaries since the 11th century. 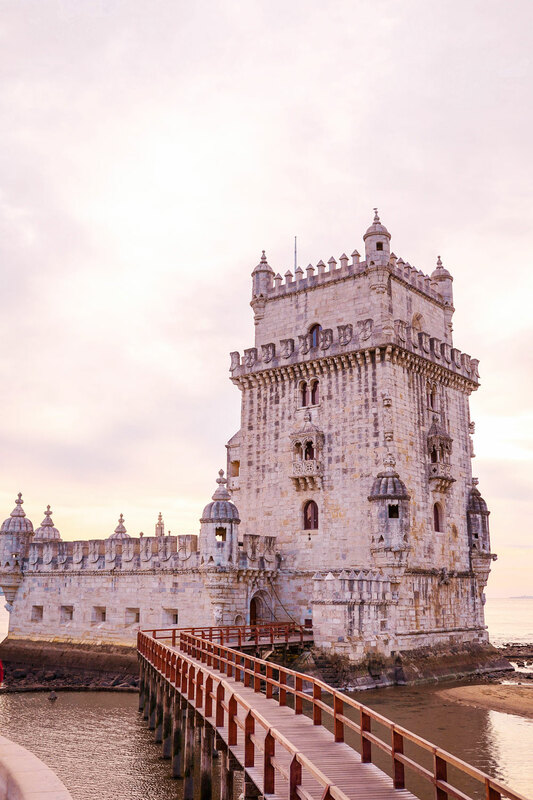 It is home to the most notable and prolific maritime explorers in history, and it once ruled over half of the “New World.” In fact, 9 countries still count Portuguese as their national language! The term “small but mighty” has never applied more accurately. 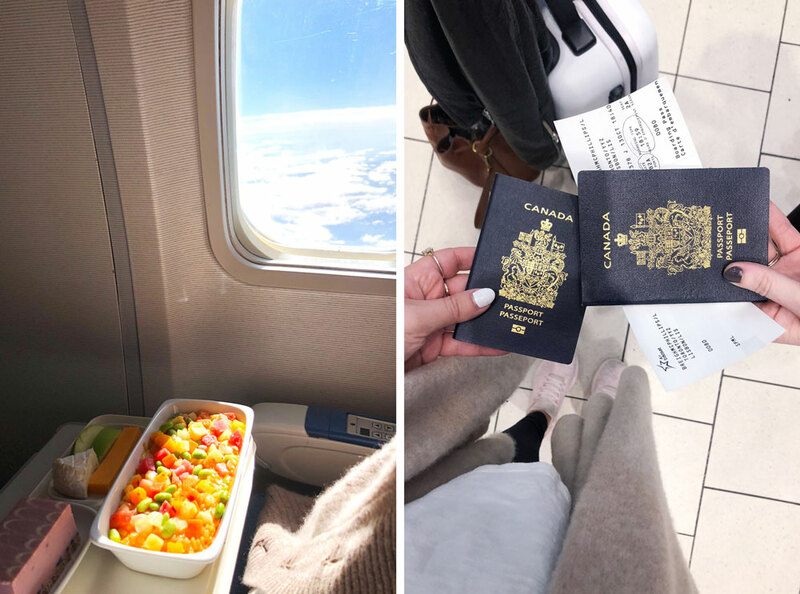 We covered so much so to make it easy for you guys, I’m going to break down our general travel route and then share all the must-stay and must-eat’s in the lists below so that you can easily reference it! We began in Estoril, which is home to the biggest casino in Europe. We spent a very lovely first day wandering by the water, seeing the Roman baths and then hopping on a bus tour to see a bit more of the surrounding area. We drove to Sintra, where the famous technicolour Pena Palace is along with other stunning castles. It’s a UNESCO world heritage site right in the forested hills, and it’s amazing how much the air changes as you climb up! 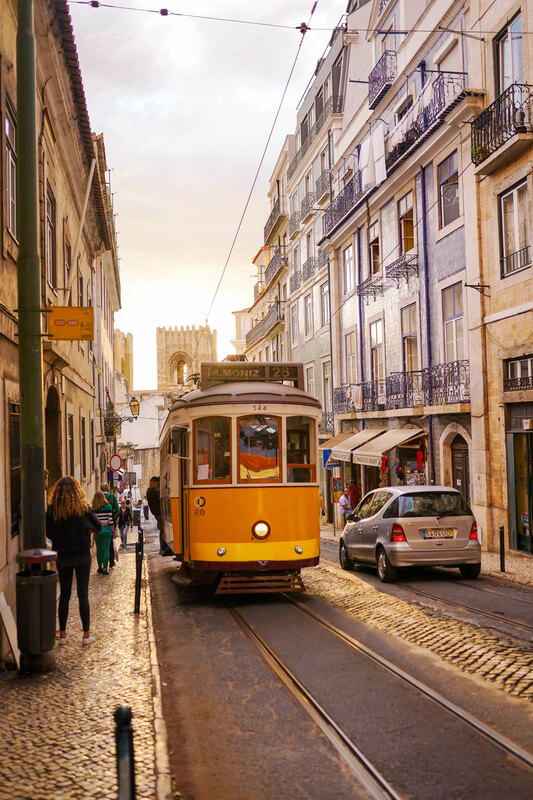 Pack a sweater, needless to say—it’s not the same heat as Lisbon. We also drove along the rugged coastline, seeing the most massive waves crashing powerfully into the cliffs. There’s a reason why Portugal is famed for its surfing—the waves are insane! We then moseyed into Cascais at night. 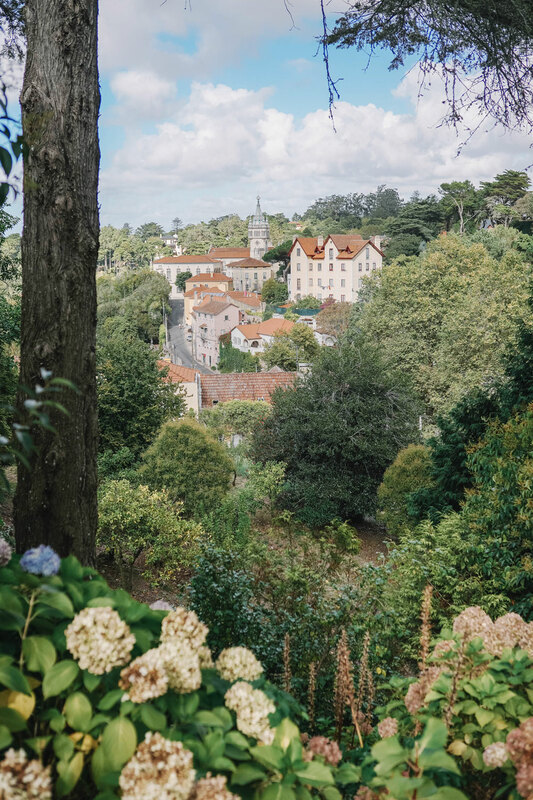 Cascais is a total dream—I also visited it on my first trip in Portugal and it’s just a soft, sunny, slow little slice of heaven. Also a very easy day trip from Lisbon! We happened to time up with a storm passing through Portugal, so the rainy, moody weather made for a perfect tour day into Beja in the Alentejo region. Inhabited since the Bronze Age, it’s a very historic place with a rich agricultural history as well. 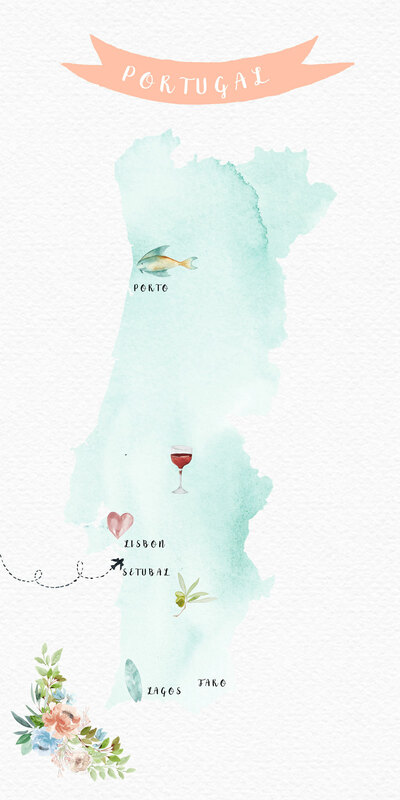 As you guys might already know, Portugal is home to some of the most famed and prized wines in the world, and they have some truly amazing wineries. We were lucky enough to visit the beautiful Santa Vitória, which is also a hotel where you can stay in their cabins, rooms or even a teepee! 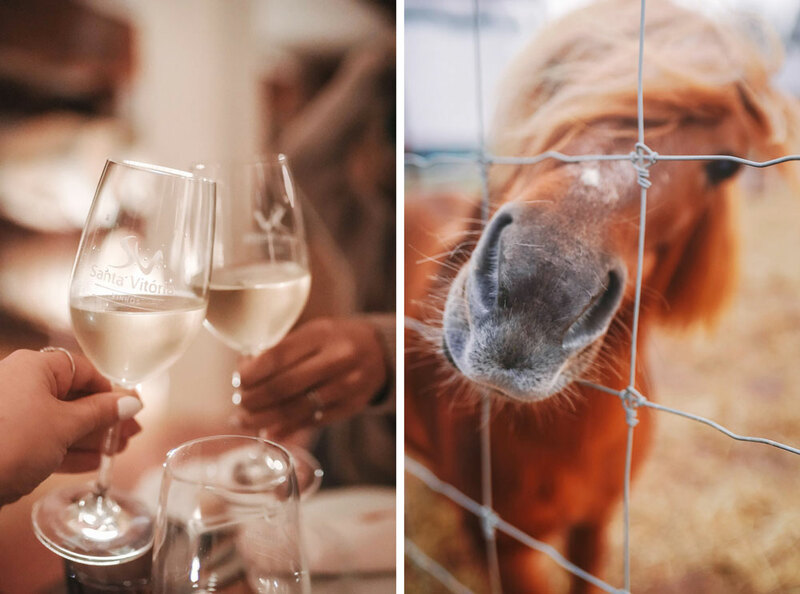 They are also home to some truly cute creatures, from an adorable miniature pony to goats and more. It was really special to visit this winery though because their head winemaker is a woman! Portugal has changed a lot in regards to feminism and it was really special to meet up with so many hotel leads and the like who were women. 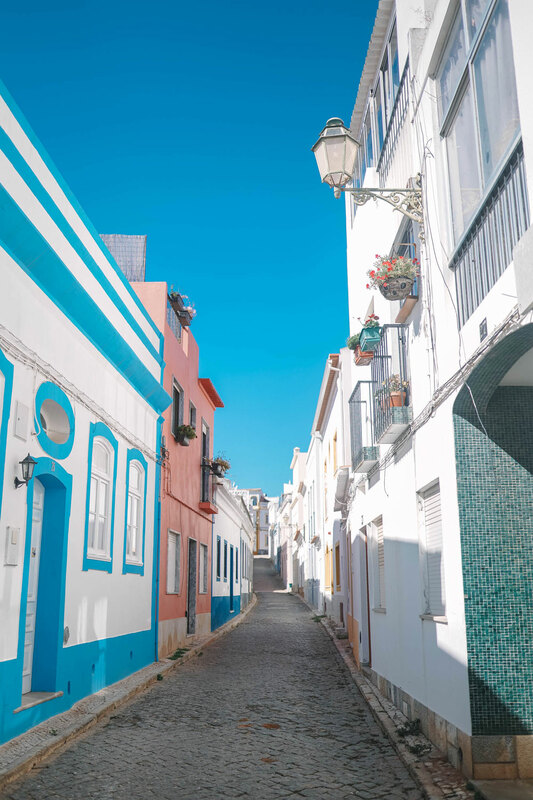 We then drove through to Albufeira in the Algarve when the clouds just broke open for us to enjoy a few moments of sunshine—such a gorgeous seaside town, a must if you’re in the area. We had dinner at Guia, which I only saw in the dark but I would seriously urge you to visit in the day because it looked so stunning, and then we got into our gorgeous hotel the VidaMar, right on the beach. 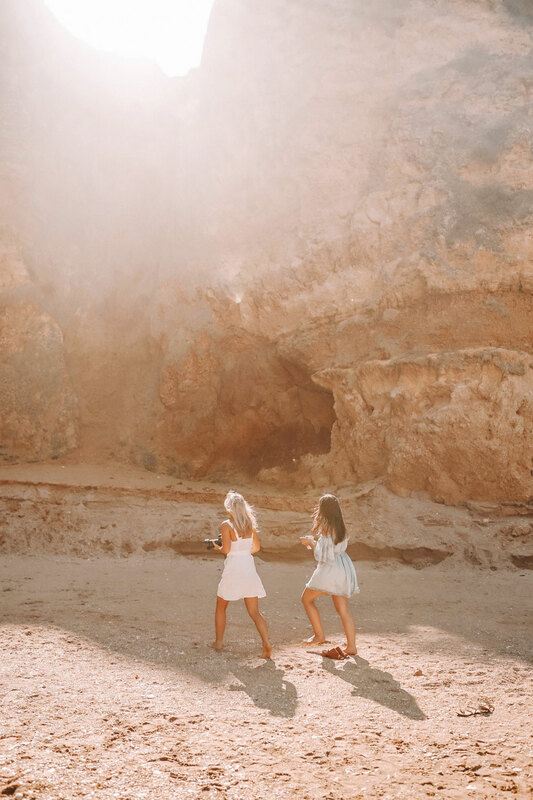 Lauren and I woke up to catch the sunrise at the beautiful beach at VidaMar before gearing up for an epic boat ride with Dream Wave out of Albufeira. 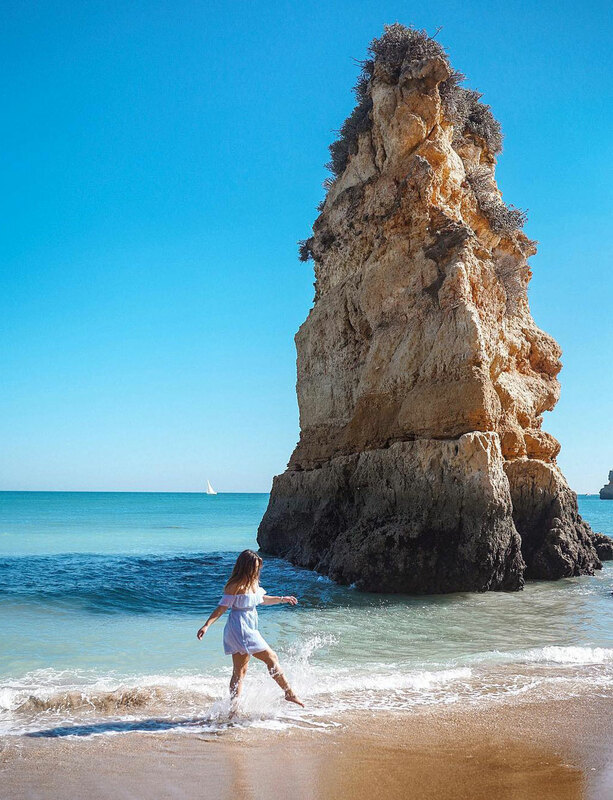 The Algarve region is super famous for its gorgeous grottos and sandstone cliffs, with the striking contrast of tawny oranges and yellows against the brilliant turquoise waters. 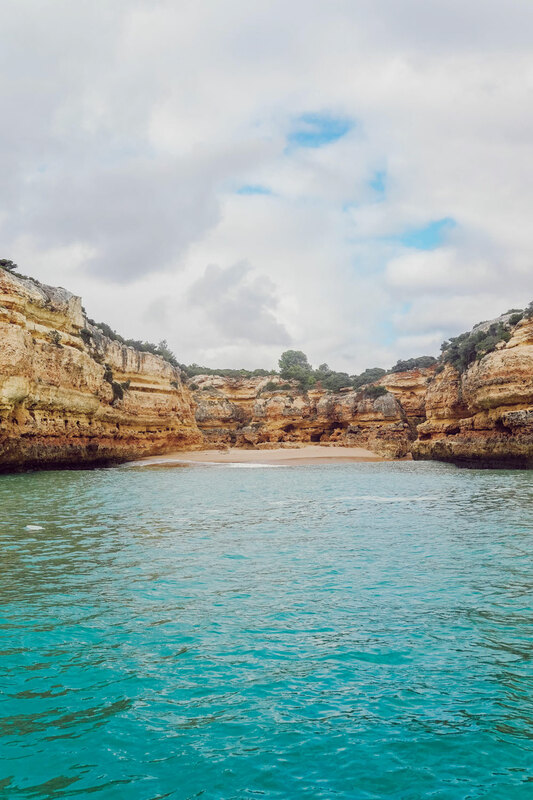 It’s well worth seeing the cliffs from the water as well as from above (more on that in a moment)—it gives you such a cool perspective to how the cliffs formed! Highlights were definitely inching into Cathedral Cave, voted the most beautiful cave in the world, and seeing dolphins right near our boat! From surf to turf, we then geared up for the most amazingly fun Jeep tour with Extremo Ambiente up into the nearby hills to see the cork oaks (you can spot these around Portugal, looking half naked—they peel off the bottom part of the bark to use for cork, making Portugal the biggest producer of cork!). We also tried Aguardiente de Mehondro (a fruit brandy local to the region) which will take care of any bug you have. Seriously, I had a sore throat and it was completely gone afterwards. The loveliest dinner in the gorgeous town of Carvoeiro and it was back to bed for another big day the next day! We suited up and then took off for Sagres, somewhere where I had some really special memories on my first trip and was super excited to go back to. We went to Cape St. Vincent, the most insanely beautiful cliff point which locals used to think was the end of the world! They’d see explorers take off and because it was assumed the world was flat, they expected they fell off at the edge of the horizon. It’s really amazing to visit such a historical place that was obviously the last sight of land for so many of these brave maritime explorers. I’m not going to lie, I made a special request to stop at this pottery store that is super distinct, there’s no way of missing it. Once you leave Cape St. Vincent, it’s the building on the left with a gazillion plates on it. Not to toot my own horn, but it was the best decision ever because one thing the Portuguese really excel at ceramics. We all stocked up like crazy, and the pieces I brought home are some of my favourites. Make sure you stock up when you’re there!! We then went to dreamy Lagos, where I spend a week or two before. I love Lagos. It’s such a special place. 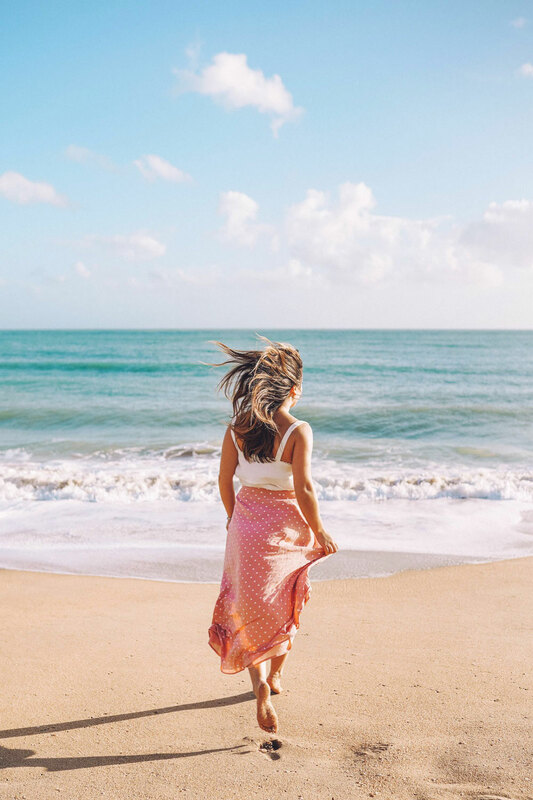 Life moves more slowly, it’s got calmer waters so you can go swimming, there are great hiking trails, amazing food, stunning architecture and the most gorgeous sun-bleached streets. I could spend forever here. It’s also home to some of the most amazing beaches. A quick swim later, we are at Ponta da Piedade, one of the most famous views in all of Portugal with all the grottos below. 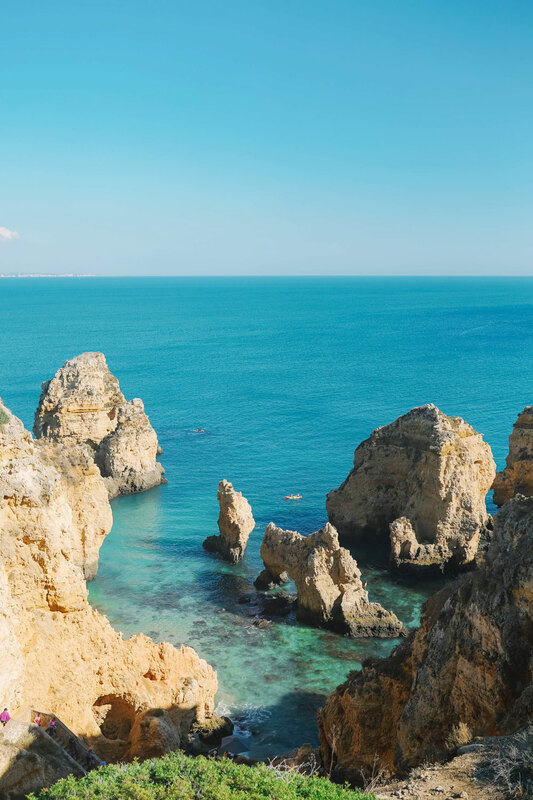 We then had a good drive up to Lisbon, but the beauty of Portugal is that it’s a very drivable country—yes, some legs will take a few hours, but you can get around far more easily than most other countries, particularly because most of the cities you’ll want to visit are alone the coastlines! 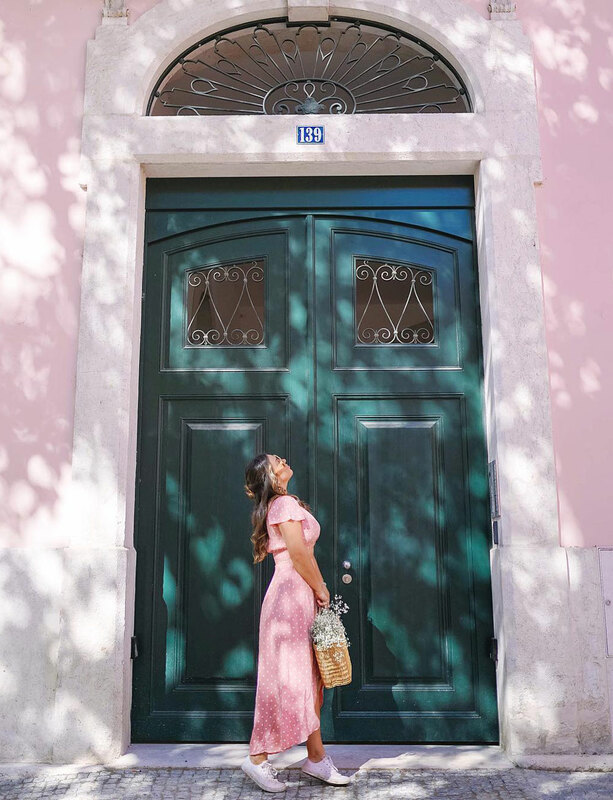 We woke up at the most dreamy hotel (more on that in a moment) and got ready to take off to Setúbal, where the largest covered market in Portugal is. We all lost it over the basket bag vendor in particular! If you want to see a slice of true Portuguese life, it’s really amazing to come here and see locals go about their business stocking up on their produce and the like, and it also gives you the chance to try a ton of amazing local food, from baking to cheese to fruit! We climbed the mountains to get amazing views of the ocean below and an old monastery, before making it into beautiful Sesimbra. 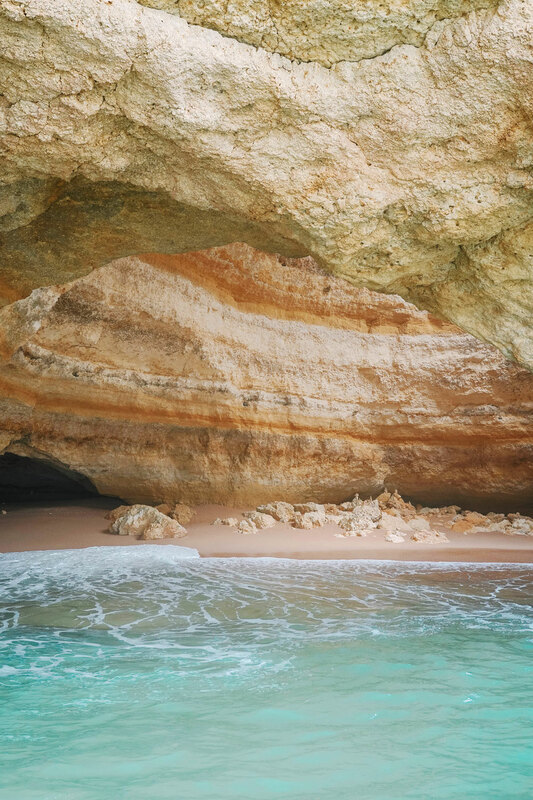 Sesimbra is a bay so it’s very quiet and protected from high winds, making it a perfect place to retreat to for a calm few days of swimming, relaxing in the sun and dining on incredible food. 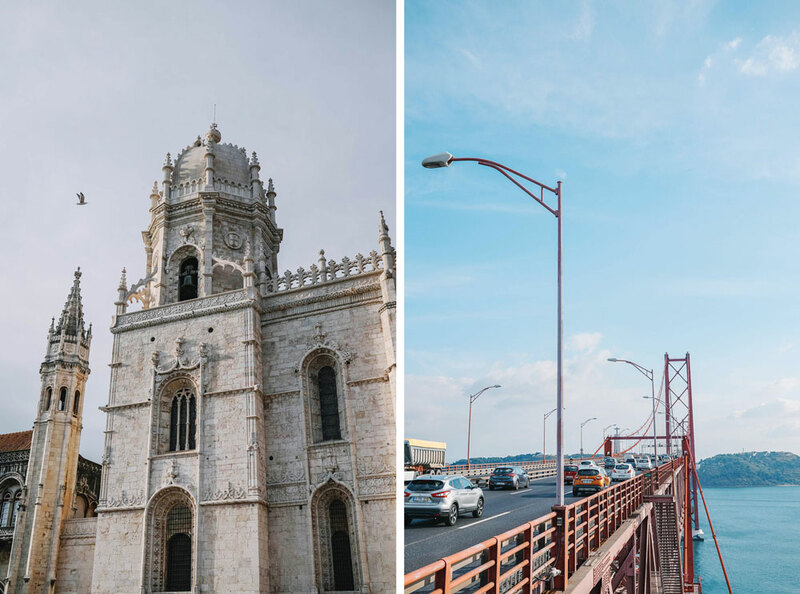 Back in Lisbon, We then went to the 25 de Abril Bridge, which has the coolest exhibition called the Pilar 7 Experience where you can take an elevator up the pillar to see the bridge at eye level, and to learn more about the amazing history behind its creation. Near Lisbon is beautiful Belém, where the famous pasteis de nata (those delicious Portuguese custard tarts) were created. 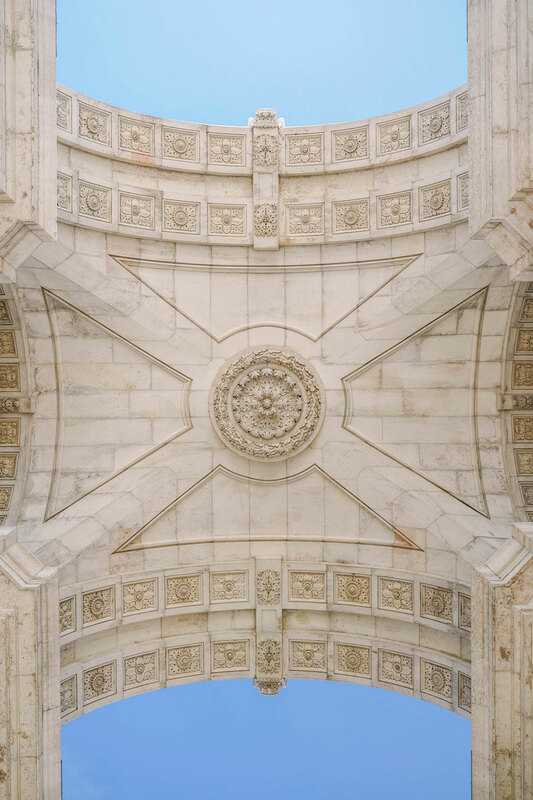 Also in Belém is the gorgeous Belém Tower and Jerónimos Monastery. 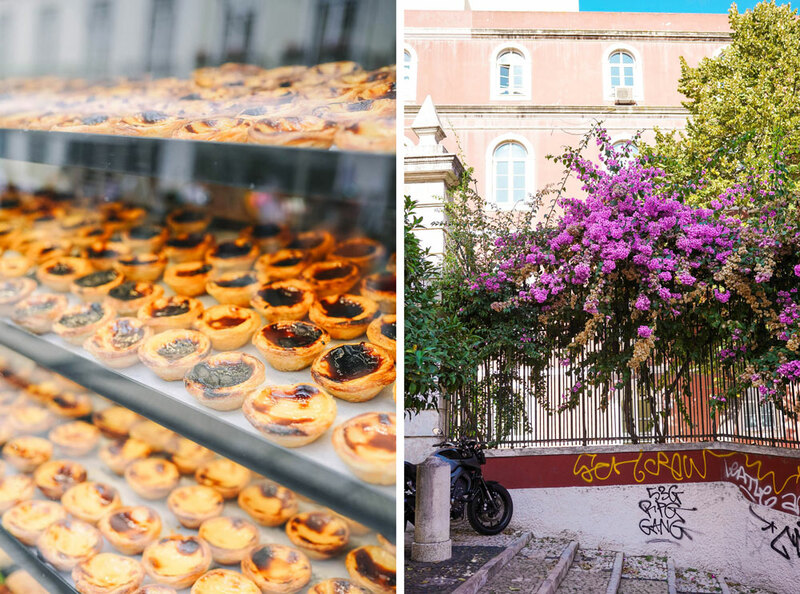 They are both absolute must-visits, and a super easy day trip from Lisbon. 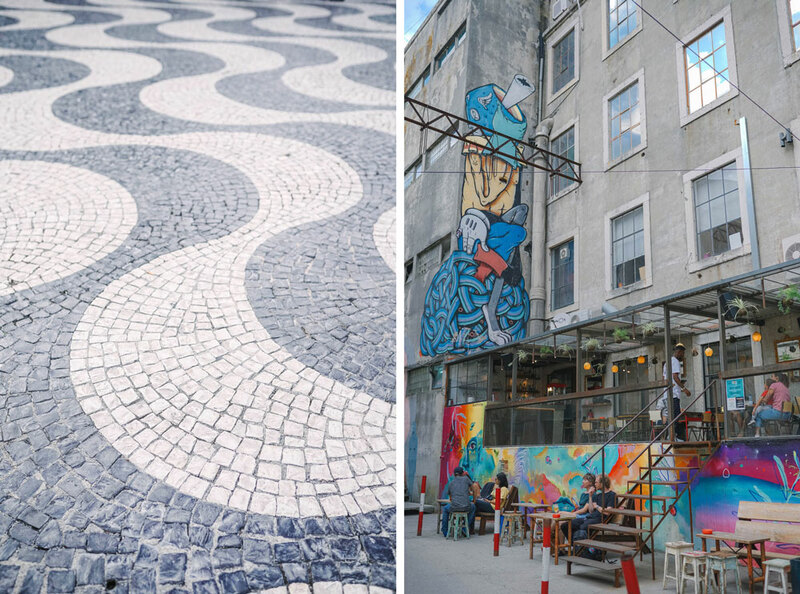 We had the morning off to just explore Lisbon, so we grabbed a quick breakfast at the amazing Time Out marketplace and then wandered through Barrio Alto and Baixa before meeting up for lunch. 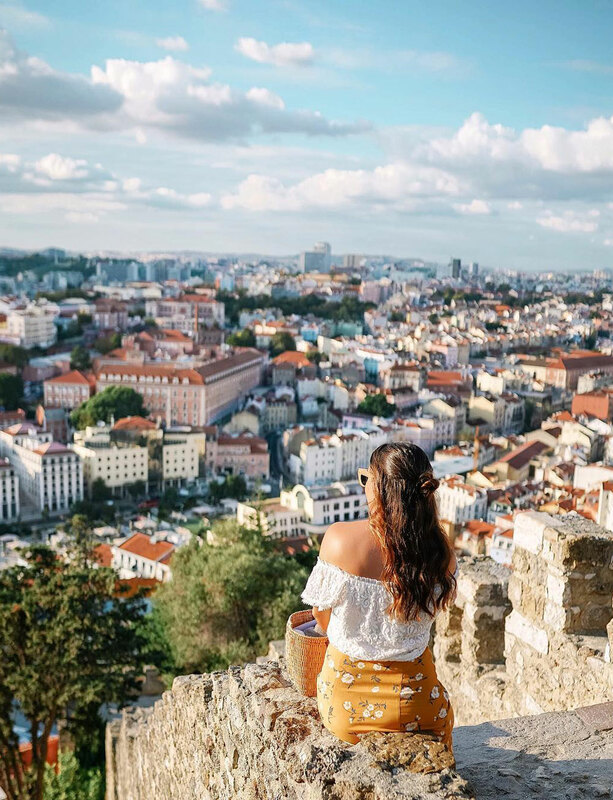 We then all wandered up to Alfama, and most importantly to Castelo de Sao Jorge, where you get the most amazing views of the city. Pro tip: there are two free elevators you can take up if you wan to save your hill climbing for exploring Alfama off the other side of the hill later! There so much history at the castle, along with peacocks and wine to be sipped on so it’s well worth carving out a bit more time to explore it! We then went to go listen to Fado, the most important musical tradition of Portugal. Whether you go to a bar or a Fado centre, it’s an absolute must. We had the day totally free, so we just wandered around Alfama (where Matt and I stayed last time! ), which is my absolute favourite part of the city. Alfama was saved from a devastating earthquake in 1755 that shattered the rest of the city, making it a truly preserved historical space. 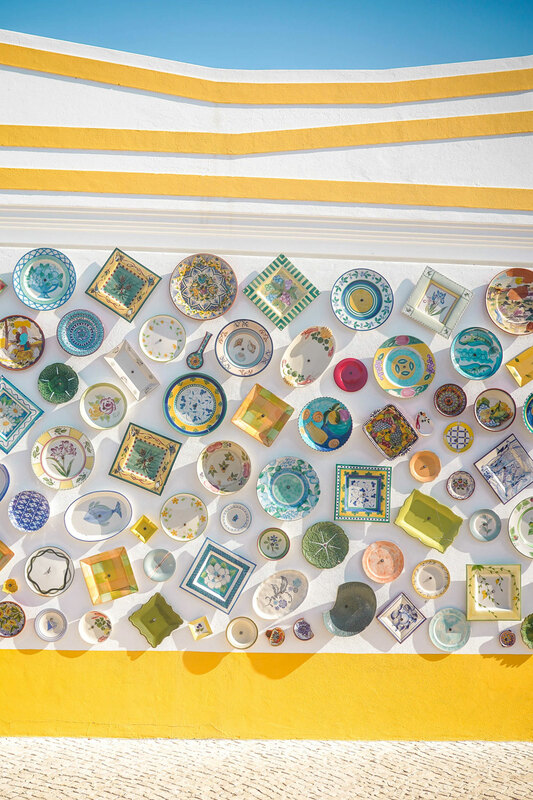 It is also unbelievably beautiful—think tiled houses (the tile tradition is a remnant of Moorish rule, by the way), saturated tones of yellow and pink, etc. It’s also really easy to get lost in because it wasn’t “city planned,” so give yourself ample time to just wander and turn corners and take it all in. It was a Saturday so there was an amazing flea market happening behind the Monastery of Sao Vicente de Fora, which was a really cool thing to stumble upon. You can also get an amazing view of the famous Tram 28 in front of the church, the yellow tram climbing up the hill on its rails! 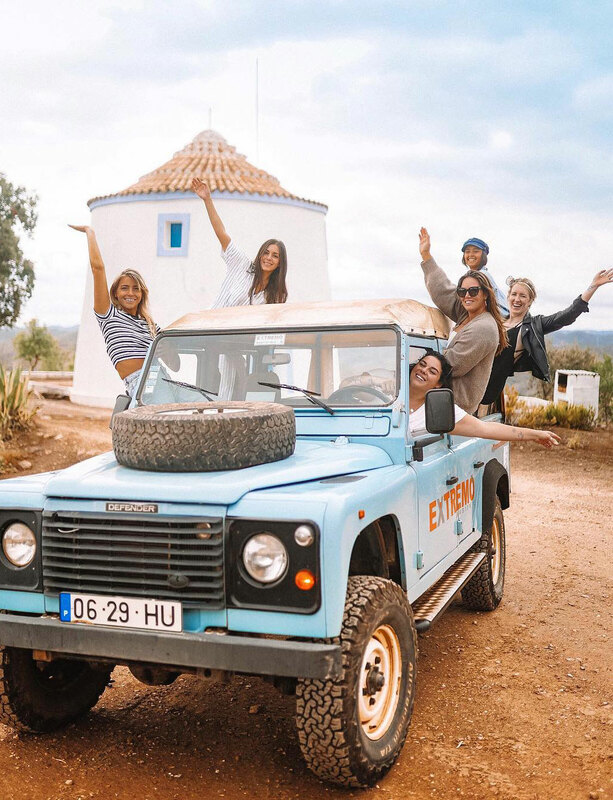 We met up with the rest of the girls and then took off to LX Factory, which is a super cool space where they took old factories or industrial buildings and revamped them into boutiques, restaurants and more! Was a really unique experience. One last dinner together and then it was time for our goodbyes! I honestly love each and every one of the girls so saying bye was hard, especially after such an incredible week together. Was so special to get to experience such a meaningful country to me with them! Gourmet Experience Lisboa: a unique dining experience where you can pick and choose from different restaurants in the same space—all luxe, amazing dining options, we ate so well! Time Out Market: a more casual, marketplace version in Lisbon as well, but same idea—come with your group and sample a ton of different dining options! Winery Santa Vittoria: stock up on your vino here and book in a wine tour while you’re at it! Mundial Terrace: one of the most beautiful views of Lisbon from this terrace! Well worth popping in for a cocktail. 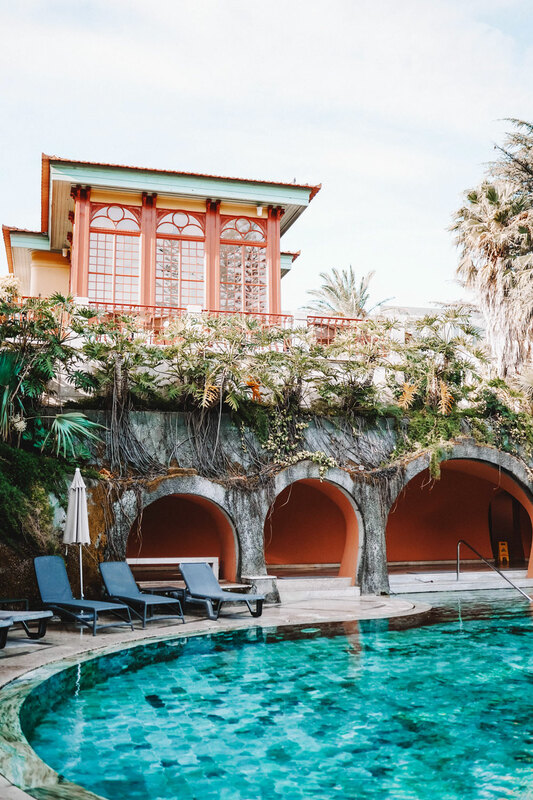 Palacio Estoril, Estoril: this hotel has some serious history, from being a James Bond filming location to housing spies during WWII. It’s also unbelievably gorgeous and the pool is pure heaven. Vidamar Resort, Algarve: where to begin?! From the stunning rooms (seriously, slept like a baby here) to the sweeping beaches stretching off for miles in each direction to the unbelievable dining options here, we could’ve stayed for days and days. Oh, and the pool and spa! So gorgeous and relaxing. Hotel Mundial or Hotel Portugal, Lisbon: part of the same hospitality group, they’re side by side and both absolutely gorgeous. Hotel Portugal is more of a boutique hotel with stunning modern features, whereas Hotel Mundial has more legacy. You can’t go wrong with either! 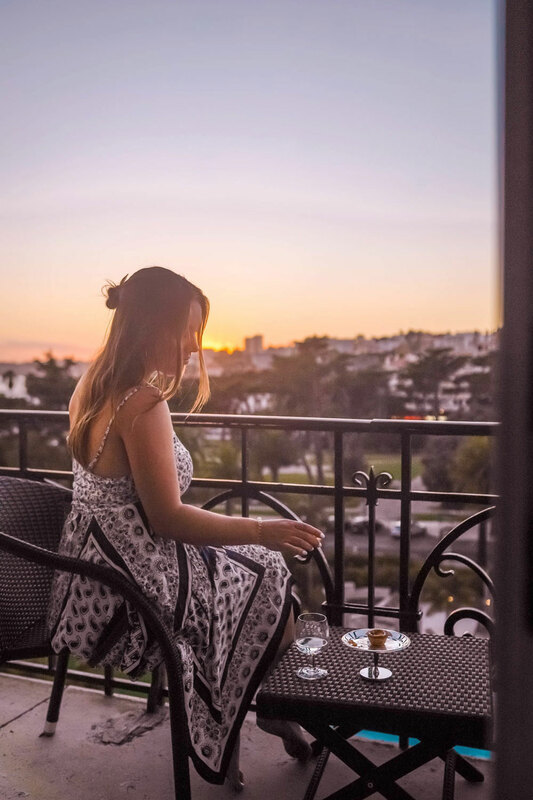 Pestana Palacio, Lisbon: so there’s really no way of describing how amazing this hotel is. 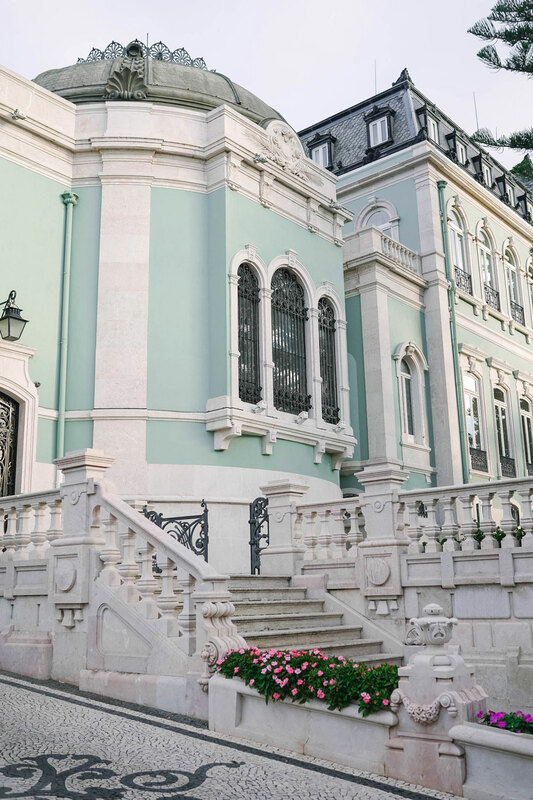 First of all, it genuinely is a palace—once belonging to a self-made entrepreneur, it is an unbelievably gorgeous space with two beautiful pools (one outdoor, one indoor) and so much green space that it probably technically classifies as a small park, despite being right in the city. 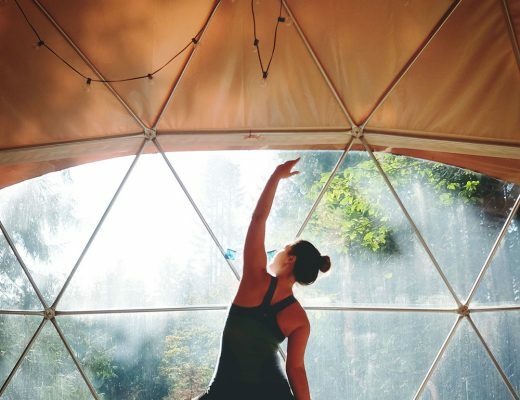 We were all so grateful to get to experience this space—if you can stay for even a night or two, it’s well worth it because this is a once-in-a-lifetime accommodation experience. 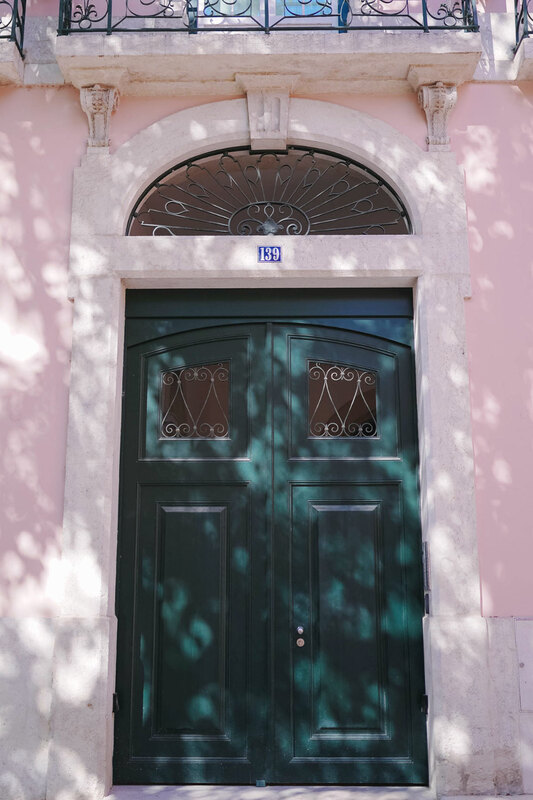 H10 Duque de Loulé, Lisbon: we all fell in love with this space as well. 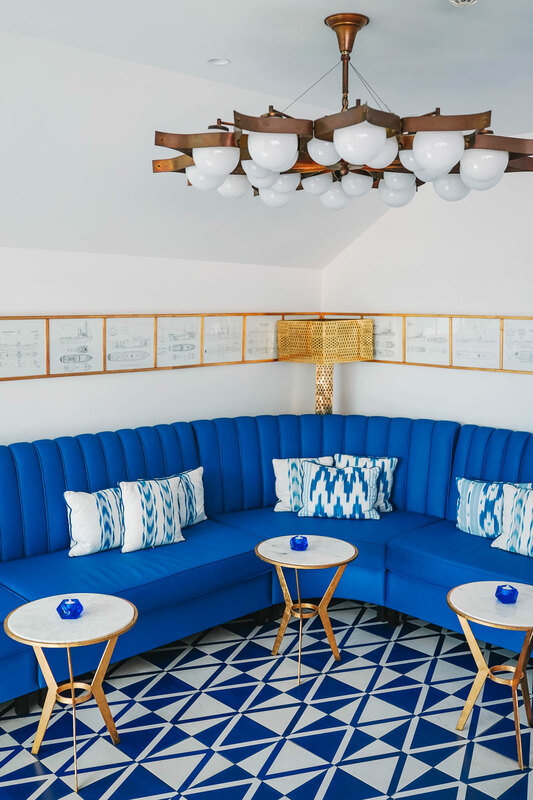 Think gorgeous cobalt blue and gold accents everywhere, custom tiling, a stunning terrace view and the most unbelievably beautiful restaurant space. This would be one of my first picks to stay at if I came back to Lisbon. SANA Sesimbra Hotel, Sesimbra: if I were to stay in Sesimbra, this would be an easy pick. One of our most amazing dining experiences was here, and the rooftop experience itself was one of the most relaxing moments in the sun we had on the whole trip. It was described as a “cruise ship” to us because it literally does feel as if you’re right on the water with the waves crashing below you. So special. If you want to have similar experiences to what we had, Air Transat is making it super easy on you by creating packages tailored to your specific interests, including 1) a seaside package in the Algarve, 2) a city package in Lisbon, 3) a city package in Porto (which I visited on my first trip to Portugal, it’s unbelievable), 4) a golf package in the Algarve, 5) a golf package in Cascais or a multi-city package in Lisbon and Algarve. You can also add around 13 “à la carte” options as well to ensure you have a trip tailor-made for you. 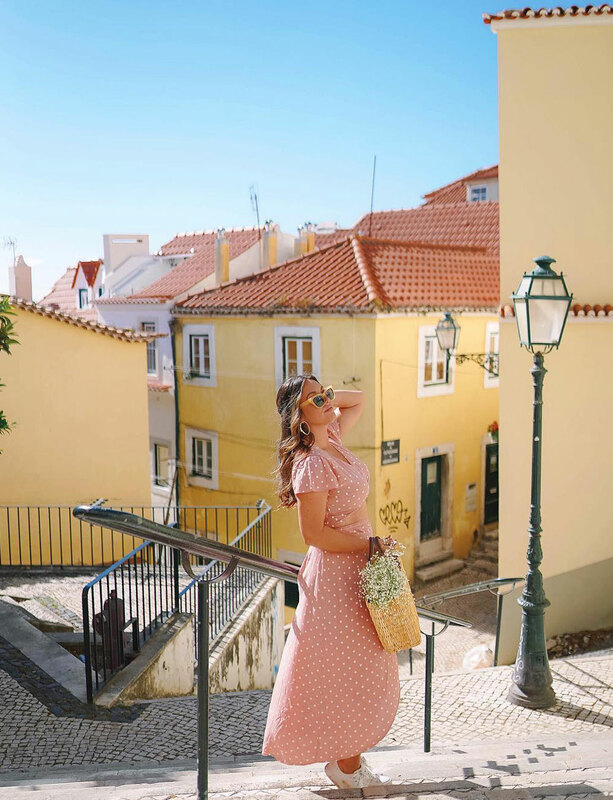 If you’ve dreamt of visiting Portugal or are just fantasizing about visiting it again, I can’t suggest flying with Air Transat enough and looking into their amazing vacation packages. This was a week I’ll never forget and will always cherish (a bit cheesy I know, but true!). Learn more about how you can get a similar experience at airtransat.com! This trip looks amaaaazing. I’ve never been to Portugal but now I need to get there asap. Thanks for including the restos and hotels- that’s super helpful! Portugal is such a cool place! I spent a couple of days in Lisbon back in 2012 but can’t wait to return and see more. 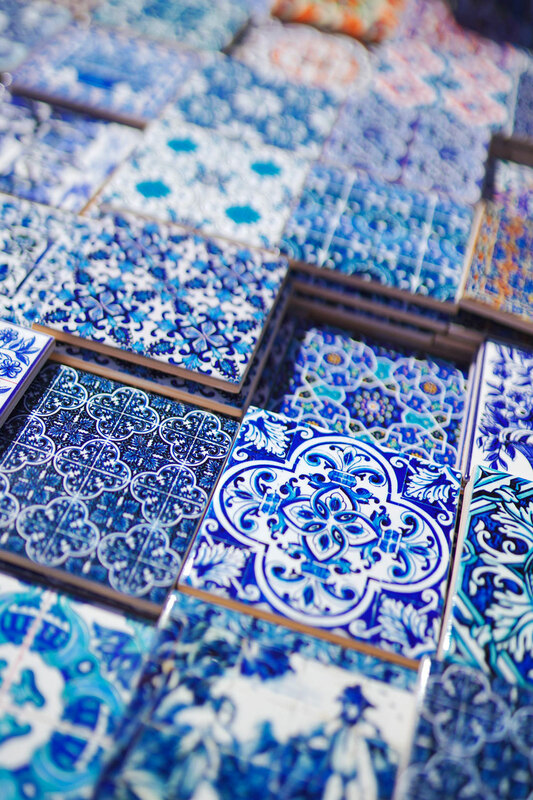 I love those tiles and all of the beautiful buildings. Bookmarking this itinerary for a future trip!